From the WiseGeek website in answer to the question “what is a coconut palm tree” comes this delicious photo of a coconut in the raw. When looked at from the outside a raw coconut is oval shaped and rather rough and earthy. Yet when cut in half it makes for a perfectly yummy circle of white flaky goodness. Contrary to its name, a coconut is not really a nut. It is actually a type of fruit known as a drupe. 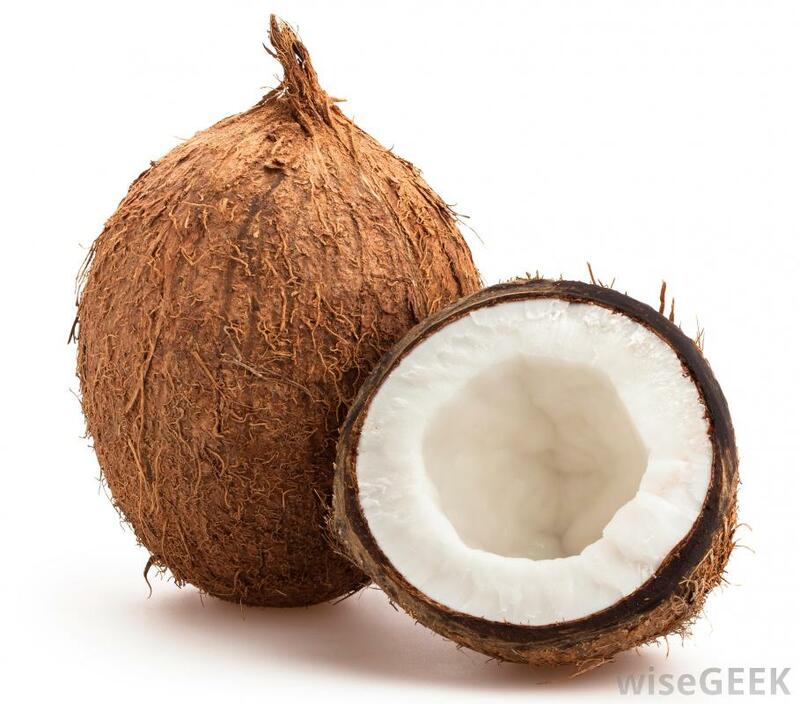 … The flesh of the coconut can be eaten or processed to make coconut milk, and the fruits also produce a liquid known as coconut water … The coconut palm tree can also be used as a source of coconut oil … The fibrous outer husk of the fruit can be used to make a fiber which is known as coir. … The wood of the palm tree is also useful in construction and crafts, as are the leaves. In some regions, charcoal is produced from coconut shells, and palm trees can also be used to make dye, buttons, jewelry, and a wide variety of other products. We are a team of researchers, writers and editors dedicated to providing short, clear and concise answers to common questions. Today’s MotD delicacy wonderfully provides a variation on that old adage: never judge a fruit by its cover. Makes me wonder, though…how did that first person ever come up with the idea to crack one of these open?